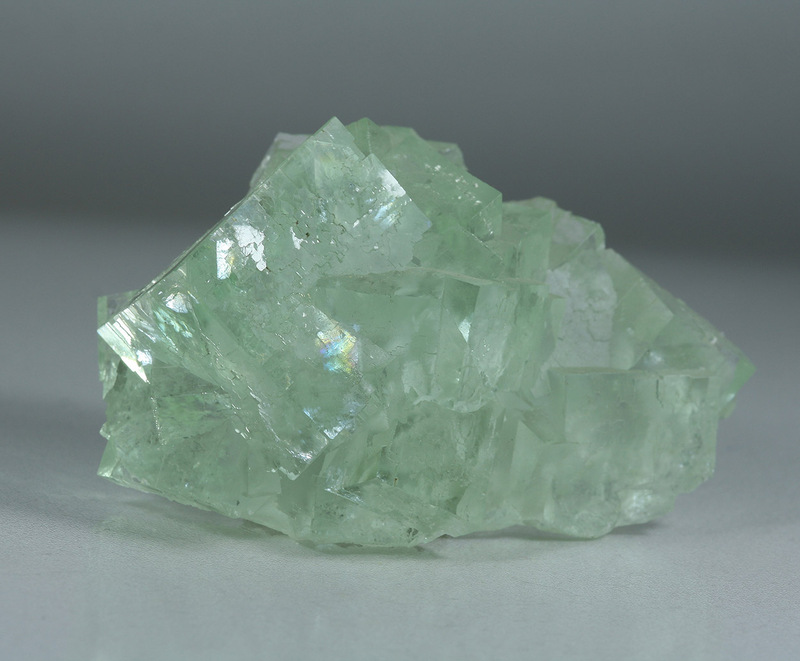 This specimen is almost impossible to show in photos. 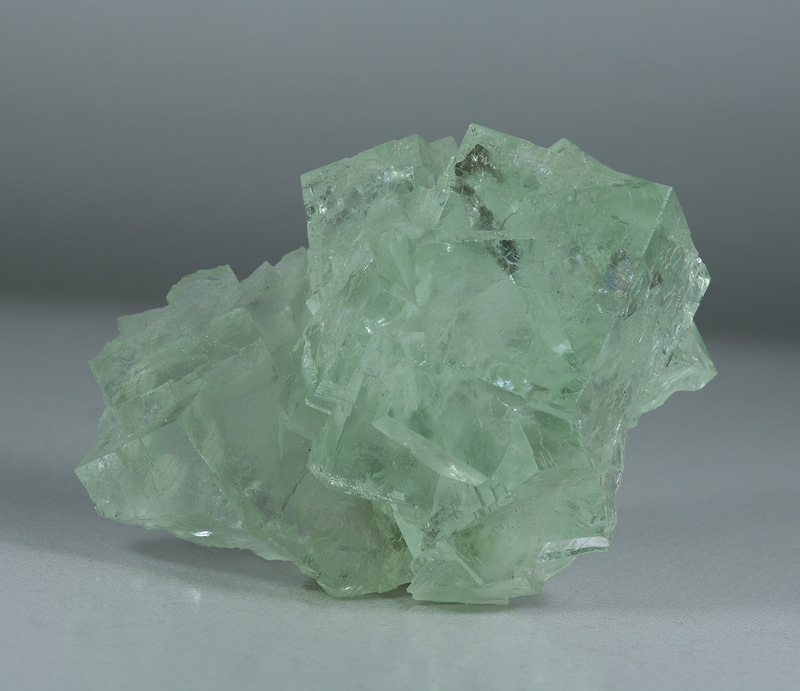 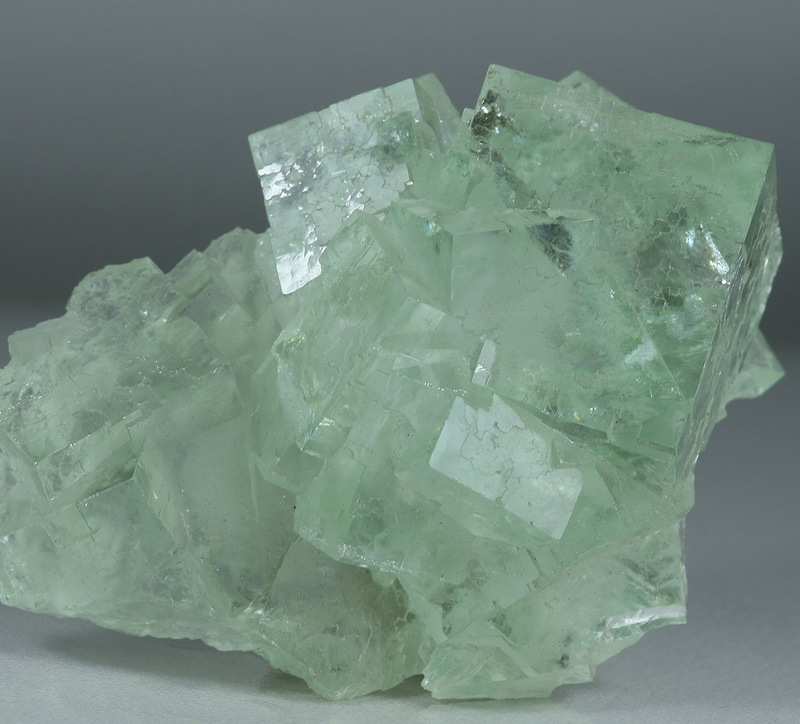 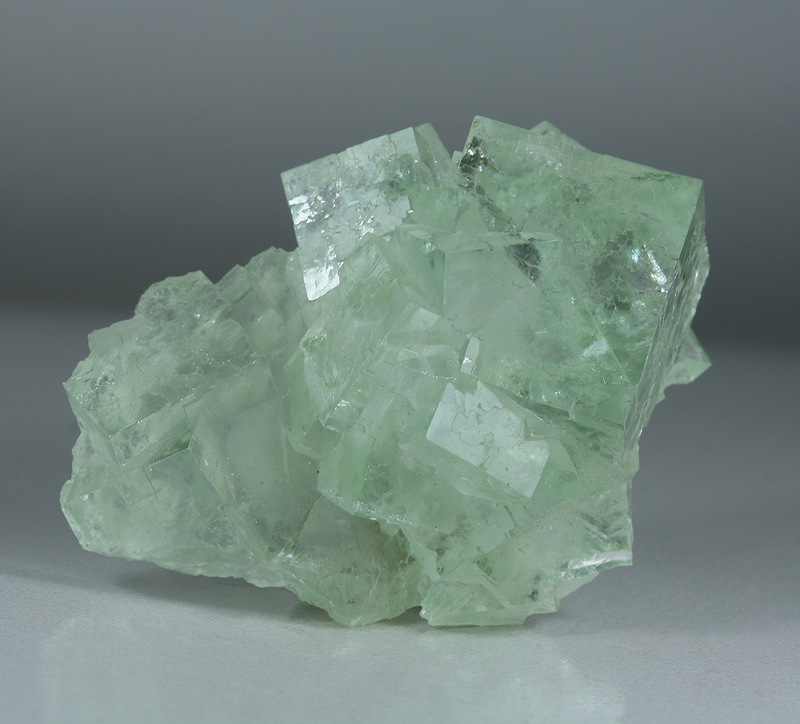 The green, cubic crystals of fluorite are very sharp, highly lustrous and incredibly clear; you can see through the crystals at the back of the specimen. 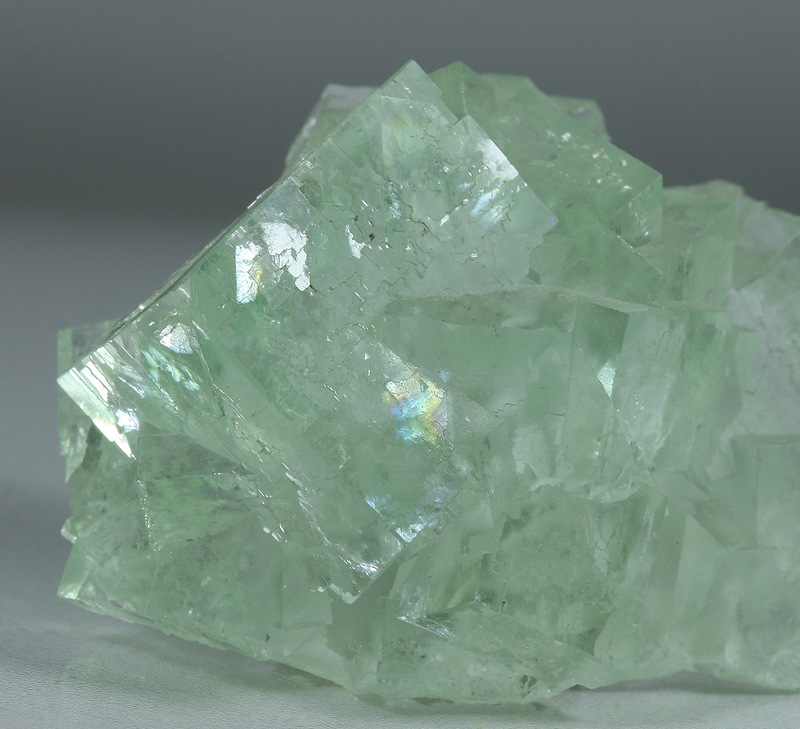 It is undamaged with only peripheral contacts/wear. 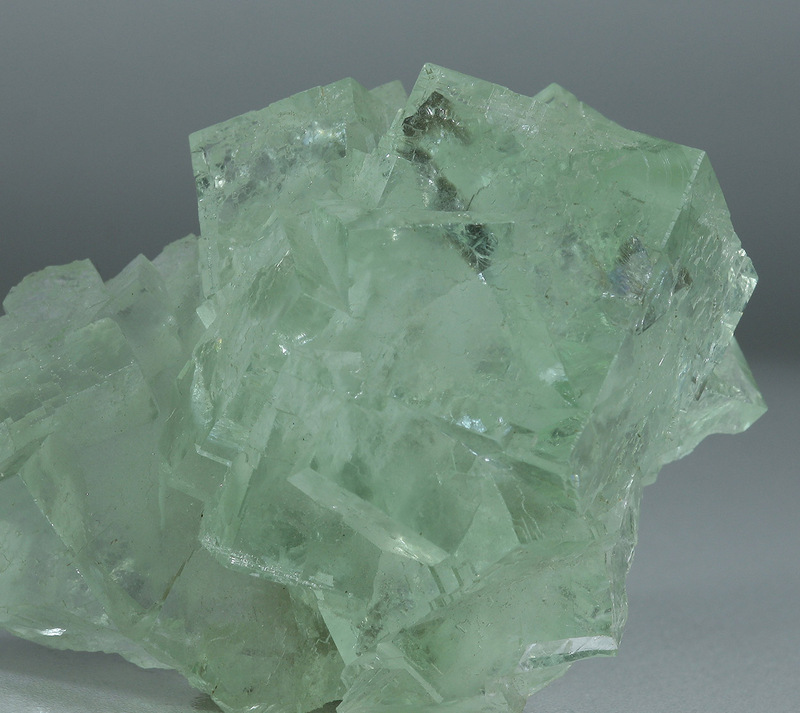 The main cube is perfect and quite large and this is an excellent small cab fluorite specimen that is just too hard to depict properly.